Locations in England, Scotland and Wales. 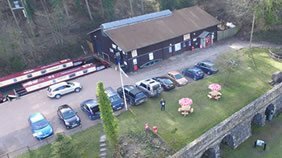 Aldermaston Wharf is close to London and is situated in Berkshire on the Kennet and Avon Canal. Rugby Wharf is located in Warwickshire and is on the Oxfordshire Canal. Our base in Goytre can be found in Monmouthshire, Wales and is one of the prettiest in the country. 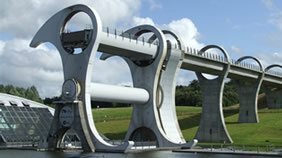 Falkirk Wharf is right next to the Falkirk Wheel in Stirlingshire, Scotland. 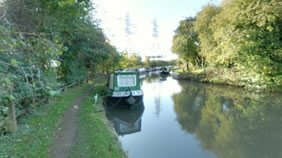 Why a Canal Boat Holiday? The narrow boats we offer are modern with all the comforts of home including fully fitted galley, lounge, bedroom(s) and central heating. The boats are very well maintained and are suitable for 2 people, a family or a group of friends. 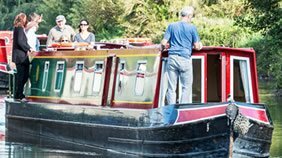 We have a huge choice of starting locations for your canal boat holiday. We have bases in England, Scotland and Wales. Operate your own boat with sizes to accommodate from 2 to 12 people. First time guests and experienced boaters welcomed. Prices include Boat hire, fuel deposit, damage waiver and free tuition. Huge choice of cruising from many different canal boating locations. Friendly staff with 24hr emergency call out service.